Readers of my blog will know, we are huge Numberjacks fans in our house. 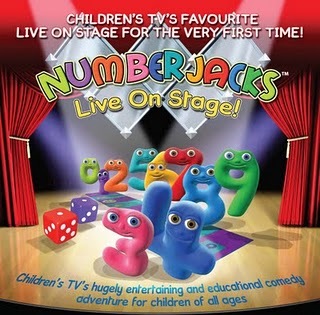 I mentioned last month about Numberjacks doing a Live show at the theatre in this post. Well I have an exclusive look at the confirmed dates here on my blog, how exciting. There may be some additions but these are what have been confirmed so far. What are you waiting for, let’s go see some Numberjacks….